Facebook is not only popular among individuals to hang out with their friends online but also with business organization to connect through their existing and prospective customers. It helps them aptly promote their brand online. To enhance the user experience Facebook always comes up with some new changes and features, latest to join is the timeline for business pages. 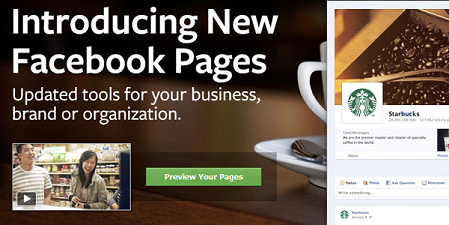 With Facebook business page business brand promotion and exposure has reached new heights. So the business should take full usage and advantage of the new timeline feature to increase the results. So below are few practices defined with which business brands can use timeline to reach wider audience and connects with them more effectively. Timeline is not an optional choice given by Facebook, so let’s use this forced opportunity to get the best results out of it. In visual landscape feature of Timeline gives business best place to showcase their services and products. One can also highlight their best content there to get the extended exposure. Here businesses can showcase their most memorable event or some breaking news. This space should be decorated with the most attracting news and fancies of your brand to draw in the attention of as many as visitors and make them coming back to ask for more. The usefulness of Facebook timeline for company’s brand is amazing as this gave them opportunity to showcase their best here. With day by day usage of timeline feature the more realistic picture on the prospects of Timeline for brands will be realized. The process of branding and online promotion is not a one day or a week task. Consistent efforts are required to keep your results steady. Ongoing efforts will lead to success in the long run. One thing all online marketers should learn that perseverance is the key to win the hearts and minds of customers. The main motive behind all the brand promotion is to reach crowds. Facebook’s ability to connect, share and engage with its users is the main reason for businesses being attracted towards it, as this will give them the opportunity to reach wide audience. That’s why it can be predicted that the attempt of Facebook to offer brand a better promotion platform through ‘Timeline for Brands’ will have a long way to enhance brand promotion and customer engagement.